Custom-made mouth guards play an important role in preventing sports injuries. If your child is playing sports this fall, chances are they need a custom-made mouth guard. More than 5 million teeth are knocked out or injured every year, costing the American public $500 million, according to a study in the journal Sports Health. Dentists and dental organizations agree that athletes should wear mouth guards. Not only do they provide protection, they often cost less than treating facial and dental injuries. Many sports organizations and schools require mouth guards for their athletes. The uniform list for basketball, football, wrestling, volleyball, ice and field hockey, soccer, baseball and softball usually includes a mouth guard. Even if your child’s coach says a mouth guard isn’t needed, ask your dentist for advice. If your child’s face can hit a hard object, a mouth guard will help prevent injuries to their teeth and mouth. Sports such as cheerleading, gymnastics, cycling, and inline skating can cause facial injuries. Mouth guards work best when they fit. The cheapest mouth guard you can buy your child may not provide the best protection. Inexpensive stock or commercial mouth guards are the least effective in terms of protection, according to the Academy for Sports Dentistry. They can’t be modified to fit your child’s mouth. They also make it hard for the wearer to breathe. If your child opens his or her mouth, the mouth guard won’t stay in place. Although “boil and bite” mouth guards fit better than stock mouth guards, they also make it difficult to speak and breathe. They may not fit if your child wears braces. You can expect to replace “boil and bite” mouth guards during the sports season because they wear out quickly. Custom-made mouth guards provide protection and comfort. Custom-made mouth guards provide the most protection, according to the nation’s leading dental organizations. 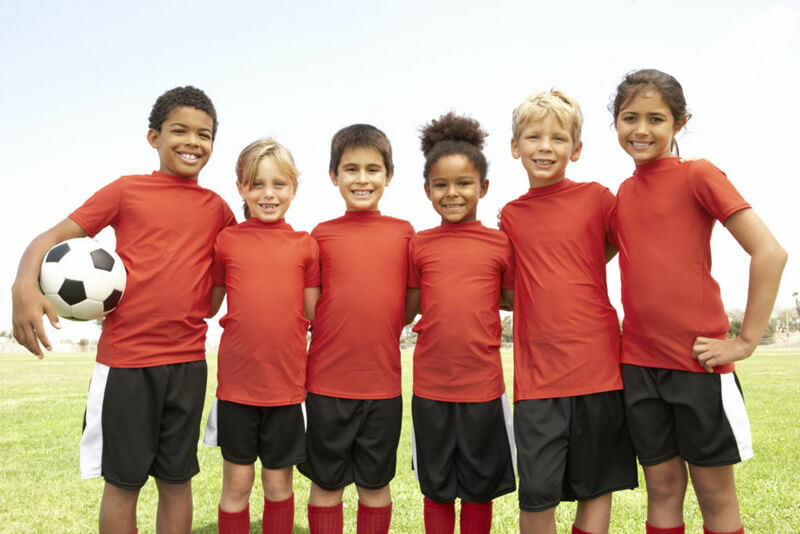 The Academy for Sports Dentistry, the American Academy of Pediatric Dentistry, the American Association of Oral and Maxillofacial Surgeons, the American Association of Orthodontists and the American Dental Association all recommend a custom-made mouth guard for all children and adults who play organized or recreational sports. Mouth guards should not restrict breathing. Custom-made mouth guards are the best choice because they’re fitted, durable and easy to clean. Unlike mouth guards you buy in the store, the mouth guard your dentist makes will be the correct size. Your dentist can ensure it covers your child’s gums and teeth. Request an appointment for a custom-made mouth guard today. Konikoff Dentistry has eight locations with three offices in Chesapeake, one in Suffolk and four in Virginia Beach. You can also call 1-800-SMILE-23.